Discussion in 'XM Radios' started by romad, Jul 3, 2013. I recently had to replace the MyFi I had due to it not connecting to various docks I have and it would then run off battery. Luckily, I had a spare that I bought as a disaster recovery plan in case this happened. This replacement is working great now. I probably need to look for another spare. Also, can someone else with a MyFi try out it's FM Modulator? Your MyFi contains a built-in FM transmitter that sends the XM audio signal to any nearby FM radio—home stereo, boombox, car radio, or marine radio. 1. Turn on your FM radio and turn off your MyFi. Unplug any headphone or audio cable from your MyFi’s headphone jack and any audio cables connected to the home stand or vehicle cradle. 2. You need to find an FM frequency that is not being used by any commercial FM station. Tune your FM radio to the following frequencies: 88.1, 88.3, 88.5, 88.7, 88.9, 106.7, 106.9, 107.1, 107.3, 107.5, 107.7, and 107.9 Note which frequency has no FM station or the least amount of interference. 3. Turn on your MyFi. 5. Rotate the dial to highlight the FM frequency you found in step 2. Press the dial in to select that frequency. 6. You should now hear XM programming on your FM radio. If the sound isn’t clear or you hear noise or static, try another FM frequency. If you’re traveling, you may need to retune periodically; this is due to the differences in signal strength of local FM stations and is not a problem associated with your MyFi. I do have to say I don't have an AM/FM antenna mast so most of those frequencies were pretty quiet. What FM frequency did you get the best reception on? When you say "most of those frequencies were pretty quiet", I think you should at least hear something even though there is static. Thanks for the reply. Edit: Also, when I lost the FM Modular, I think it was right at 5pm on a weekday. Maybe something planned by SIRIUS XM? I am probably grasping at straws. 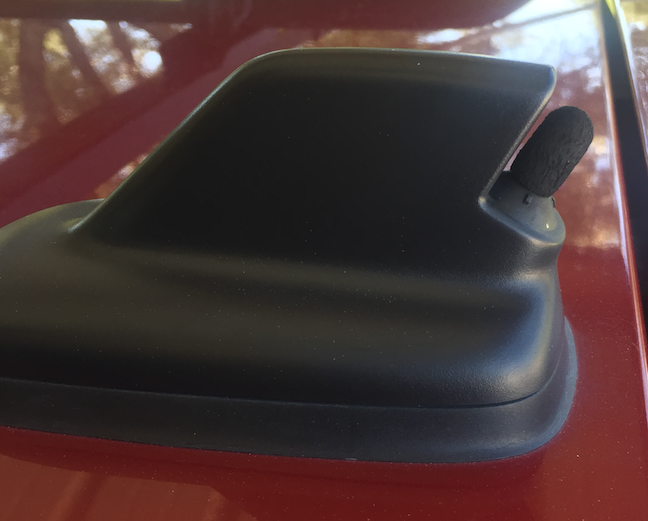 Could it be something with your car antenna? Did you try with a portable radio? I highly doubt SXM has ability to do anything on old style radios. Technology did not exist when they were made. Remember that everyone's experience will be different as the FCC may not allow certain frequencies be used it your area but will allow it in mine. Now since I DON'T have an antenna mast to get AM/FM stations (see stub where it would screw on) the only stations I heard are the most powerful and most local. So for my location, they were 88.3 and 107.5 both of which seem to work just fine with a 3/8" (9.5mm) mast. In case anyone is interested, that is an OEM VW antenna for AM/FM/Sat Radio. Also I used a vacuum port cap to cover the threaded stub. For my area, Oroville, CA, 88.5, 88.9, 107.3, 107.7, and 107.9 are supposedly not in use.